April Kennedy...My Life + My Style: Sneak Peak! A little sneak peak of my booth, but it isn't finished yet! 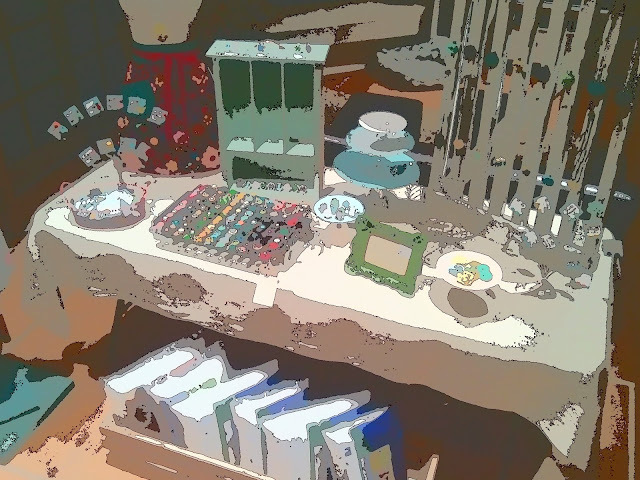 I took the picture with my new phone that has a 'cartoon' and 'vintage' feature for pictures! I'm excited to see it live next Friday! My friend Tracy and I are driving down from Long Beach!! But I think it is a great tease too!